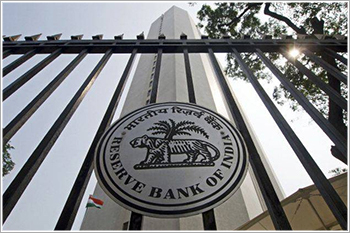 RBI’s second bi-monthly Monetary Policy meeting of 2018-19 will be held from June 4-6, 2018, with the MPC announcing the policy on Wednesday i.e June 06, 2018 at 2:30 pm. The Reserve Bank had previously tinkered with the interest rates way back in August 2017. The Monetary Policy Committee (MPC) had decided to keep the repo rate unchanged at 6% in its last meet but highlighted its cautious view on rising inflation. The objective of the MPC has been to maintain the near-term consumer price inflation at 4% within a band of +/- 2 percent while supporting growth. Following is the voting outcome of the previous meeting by the MPC members. a) Crude oil prices have surged by nearly 7%, which has resulted into sharp spike in domestic petrol and diesel prices that would lead to a sharp surge in consumer price index reading. b) Heavy selling pressure has been witnessed by Foreign Portfolio Investors (FPI), dumping $6.6 billion of India debt and equities in the financial year 2018-19 due to concerns of fiscal deficit ballooning, which has added humongous pressure on the domestic currency. 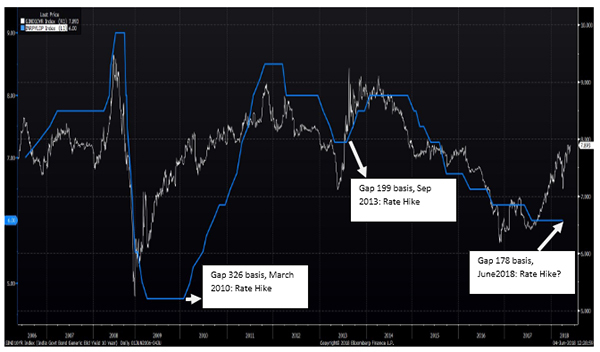 The key indicator is the spread between 10 year G-Sec and RBI repo rate. The gap between the 10-year government bond yield and the RBI’s benchmark repurchase rate widened to 178 basis points as of June 04, 2018, which is nearly at the highest point since the last 5 years. A winding of spread is usually witnessed at the start of the tightening of a rate cycle. The 10 year G-Sec- RBI repo rate spread has been a reliable indicator in the past. Smart traders in anticipation of a rate hike have already build-up short positions in the financial stocks. Following is the list of stocks that have witnessed a build-up of short position since the start of the June F&O series. Note: Open interest (OI) is the total number of outstanding contracts that are held by market participants at any point in time. It can be used to gauge & identify intermediate trend of underline securities in future and options market. A hike in repo rate has a negative impact on consumption and dampens the sentiment in market making it tough for banks to expand their loan book. A hike in repo rate would increase the mortgage rates on home loans, impacting the housing demand. A hike in repo rate would increase the cost of capital for the corporates, resulting into higher interest cost impacting their profitability.